Dr. Danielle Zhu is a friendly and engaging dentist in Bel Air, Fallston of MD. Her ability of specializing in many disciplinarians of dentistry enables her to treat your entire family from the young to the matured within one office. Dr. Zhu grew up in Ellicott City. She completed her undergraduate study	at UMBC. 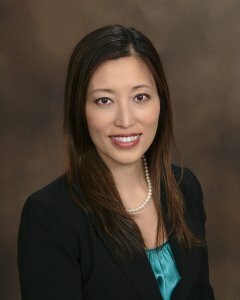 Dr. Zhu received her dental degree from the University of Maryland	Dental School. She completed a prosthodontic clerkship and a post doctorate	training in advanced general dentistry. Dr. Zhu is very involved within the dental community. Dr. Zhu is an active	member of the American Dental Association, the Academy of General Dentistry,	and the Maryland State Dental Association. She has served as a secretary,	treasurer, vice president and president of the Harford Cecil County Society. She has volunteered with Mission of Mercy on numerous occasions to help	the underserved population across Maryland. She has been awarded prestigious	fellowship by Academy of General Dentistry. She has represented local	dentists in Annapolis to engage congressmen to ensure better care for	the general population. Dr. Zhu is multilingual, and she speaks English, Mandarin Chinese, and	Shanghainese Chinese. Dr. Zhu is a proud mother of her 22-month old daughter	who enjoys flossing. In her spare time, Dr. Zhu enjoys running, playing	tennis, skiing, painting, and cooking.